Brian teaches kids the months and seasons of the year. I made it for my students and they were very happy so maybe yours will be too ! 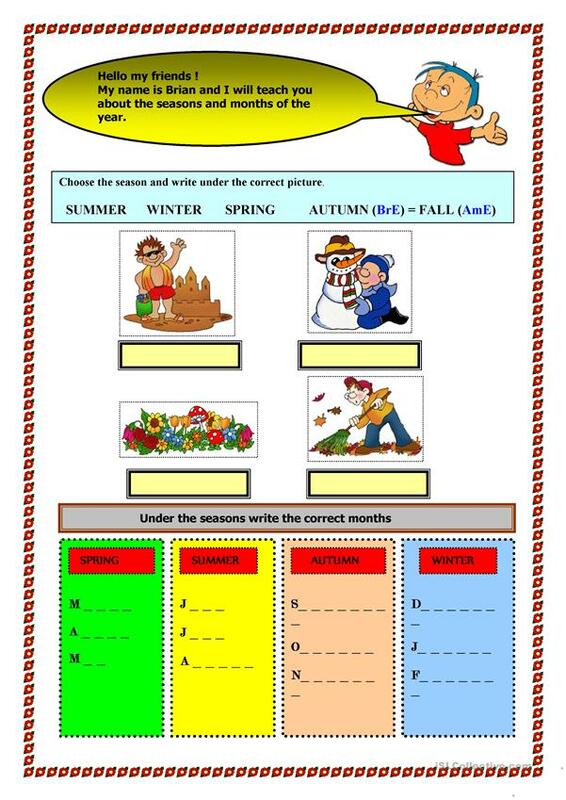 The above printable, downloadable handout is a great resource for elementary school students at Elementary (A1) level. It is about the theme of Months.